Christmas is the perfect time to enjoy some simple and inexpensive activities with your child! These simple holiday projects and writing prompts cover many aspects of the Christmas season and should only require items you already have around the house! Make a mobile using old Christmas cards, a hanger, string, scissors, tape/glue, and a paper punch. Cut out parts of Christmas cards that are beautiful or represent a special part of Christmas. If you like, you can write a few words on the back of the cutout. Or if you prefer something that looks a little neater, use index cards and mount the part of the Christmas card you cut out. Put a Christmas card section on each side of the index card and the mobile will be decorative no matter which way you look at it. Punch holes in the top middle of the card and hang with string from the hanger. The cards can be decorated and hung vertically or horizontally. Make a small book about how your family celebrates Christmas. Select a piece of construction paper and fold it in half. 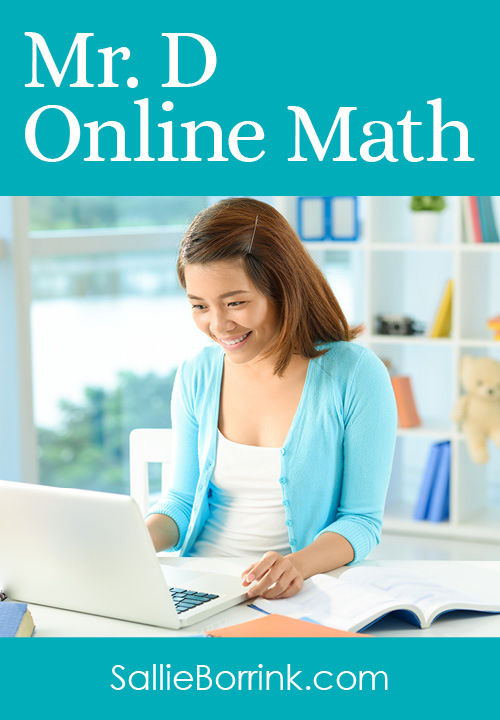 Fold several sheets of white paper in half and staple the book together. On each page, write a few sentences about some aspect of your family celebration and illustrate it. Illustrations could be done in colored pencil, crayon or even photos. How many words can you make using one of the following words/phrases? 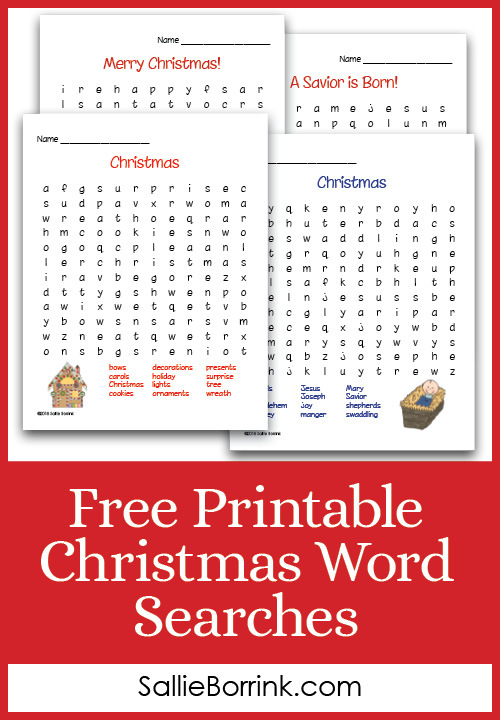 Create a crossword puzzle or word search on graph paper using Christmas words and ideas. 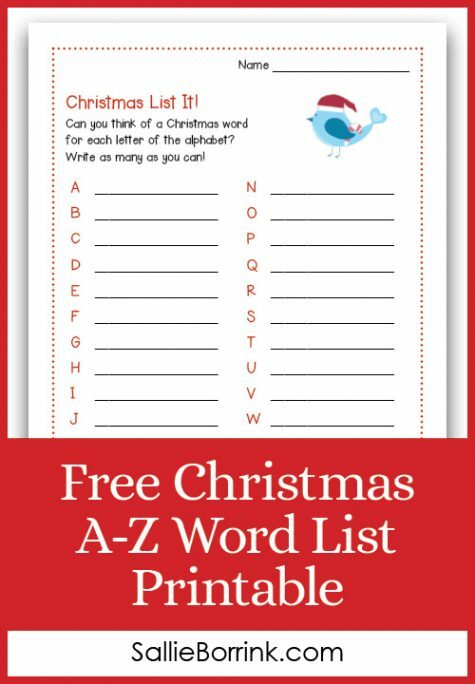 Brainstorm as many Christmas words as you can before starting. Use one of the following writing prompts to write a short story. 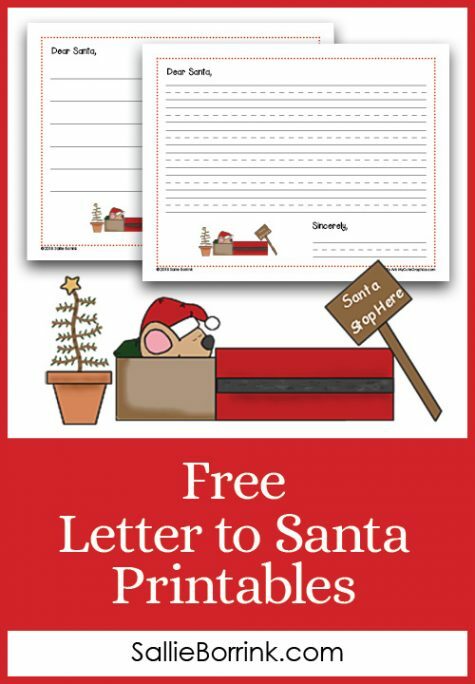 Don’t miss these other free Christmas printables on my site!